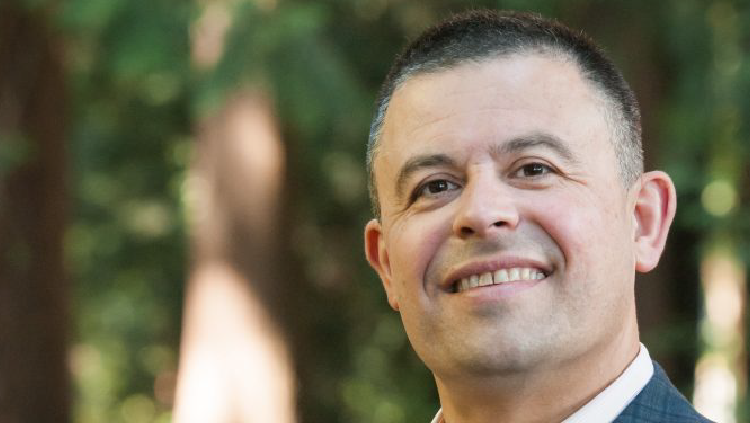 The Global Policy Project (GP2) is a defining component of the Master of Public Policy and Global Affairs (MPPGA) professional program at UBC as it provides opportunities for students to engage directly with policy makers and civil society on a real-world policy challenge. GP2 is completed in Year Two through a combination of design studio sessions and intensive stakeholder engagement. Students learn skills in areas such as team collaboration, conflict resolution in a policy environment, policy research design, strategic design, and a variety of field research techniques. Below, learn about the overseas field work component of five 2018/19 Global Policy Projects, following the experiences of MPPGA student teams in India, Nepal, Peru, Ethiopia, and Ghana during the first two weeks of December, 2018. 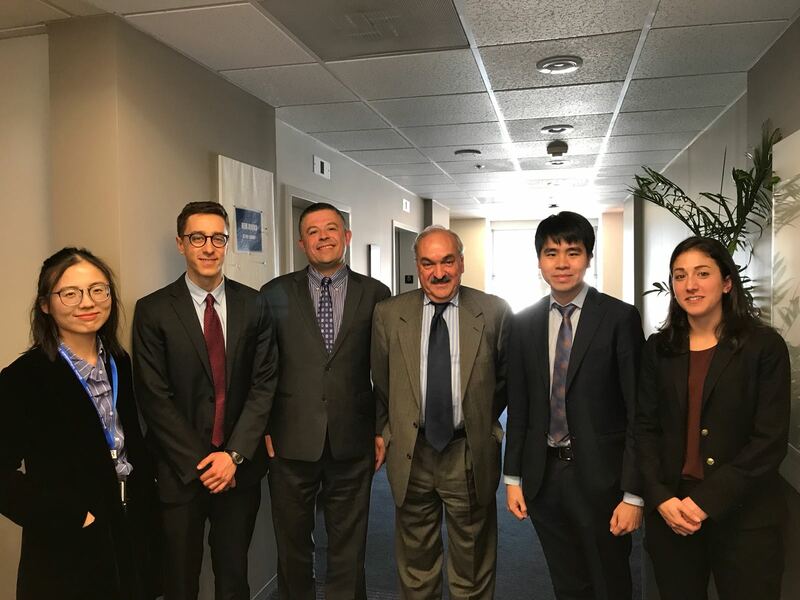 Following this field experience, student teams will continue making improvements to their projects, consulting with their clients, and preparing their final report and presentation for March, 2019. The MPPGA student team on their Global Policy Project trip in India worked with the Asian Infrastructure Investment Bank (AIIB) to develop a gender approach for identifying gender gaps in access to infrastructure. 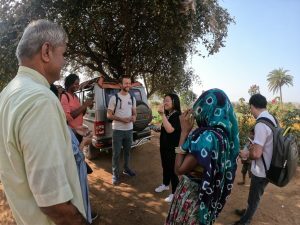 They studied a rural roads project in Gujarat to assess how infrastructure projects can affect men and women differently, grounding truths from what they had previously discovered from the literature. This project is being used as a case study to develop a tool to assess gender gaps across sectors and within the Asian context. After meeting the AIIB team and industry experts in both Beijing and Delhi, the team had the opportunity to meet multiple stakeholders, from government officials to local communities, in Gujarat. These meetings and interviews gave them a deeper understanding of the policy landscape addressing gender in this sector within the Indian context. 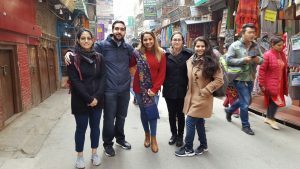 While surviving the spices of Chinese and Indian cuisines, the students learned how embedded gender roles are in societies and as such, how important it is to include the voices of both men and women in consultation processes. 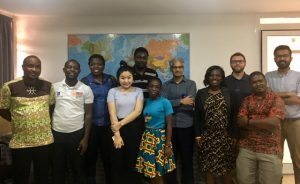 Furthermore, they engaged in meaningful conversations with NGOs, academics and local communities to gain a better understanding of how perceptions of gender roles have an impact on policy and how they can develop their tool most effectively to identify gender gaps for other infrastructure projects. 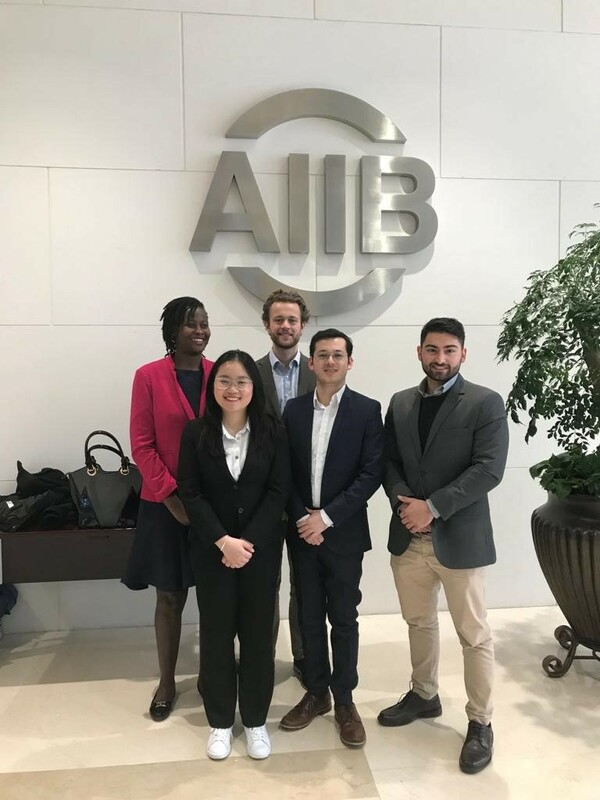 The India team met the AIIB team at their offices in Beijing to start their journey. In collaboration with professors Divi Sriram and Neeta Avtar Khurana from PDP University, our MPPGA students working with the AIIB visited some tribal communities near Palanpur in the state of Gujarat. They were able to meet some women leaders and gain a better understanding of the role of gram panchayats in rural areas. 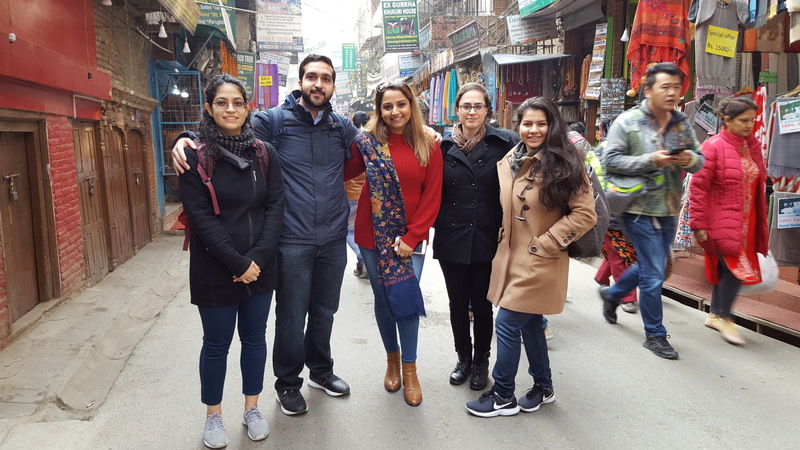 The MPPGA students had a challenging and engaging experience in Nepal. Their stakeholder engagement was focused mainly in the district of Dang. Overall, they learned that, similar to other developing and developed countries, the policies related to Sickle Cell Disease (SCD) are entangled in many different political agendas, making it difficult to achieve the goal of formulating a policy to mitigate the challenges faced by the Tharu community. The students learned that while there are times when it seems challenging to incorporate a top down approach, in the case of Nepal, there are many non-government organizations that are motivated to address the gaps and challenges that certain vulnerable groups, like the Tharu community, are facing. 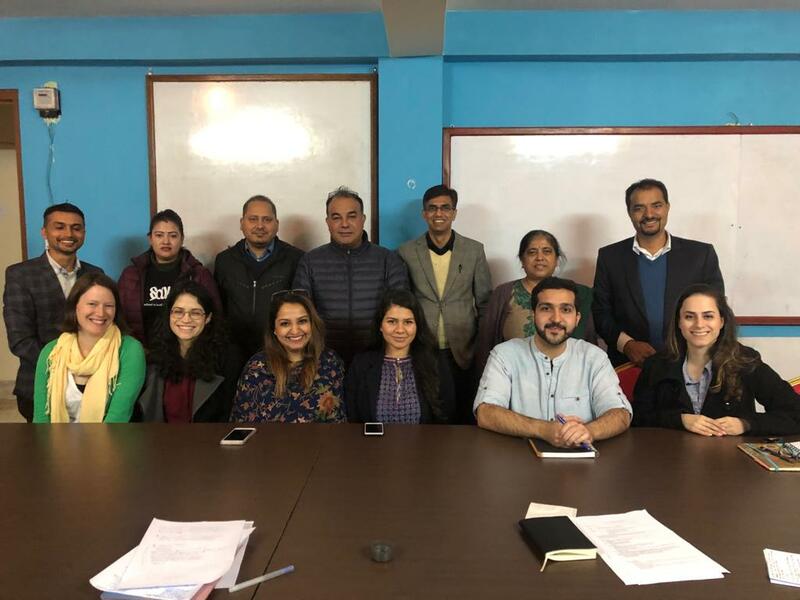 The stakeholders they met with in Nepal ranged from Ministers and self-funded organization leaders to teachers, doctors, lab technicians and female community health volunteers. 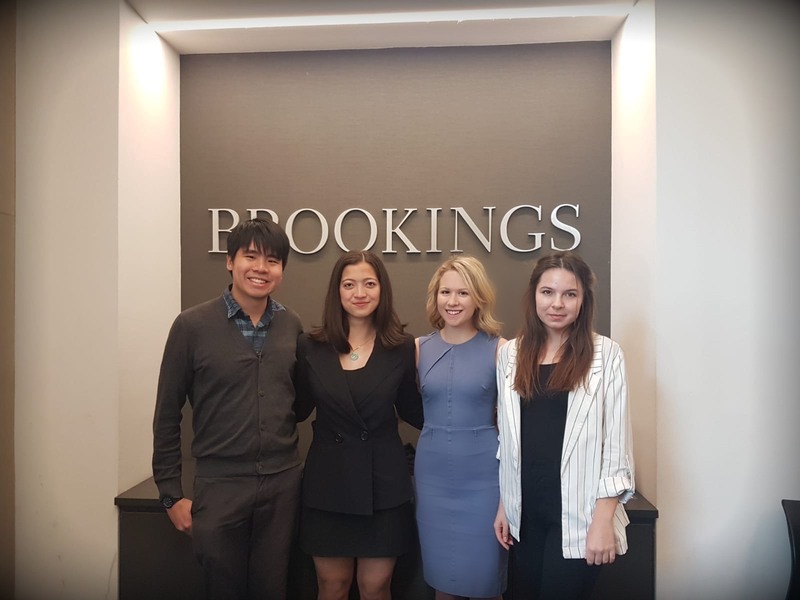 UBC MPPGA students engaged with multiple stakeholders including doctors, the School of Communist Ideology and members from the communist party. The students learned more about Nepal’s health policy structure and the perspectives of party members. The students exploring their first day in Kathmandu, Nepal. 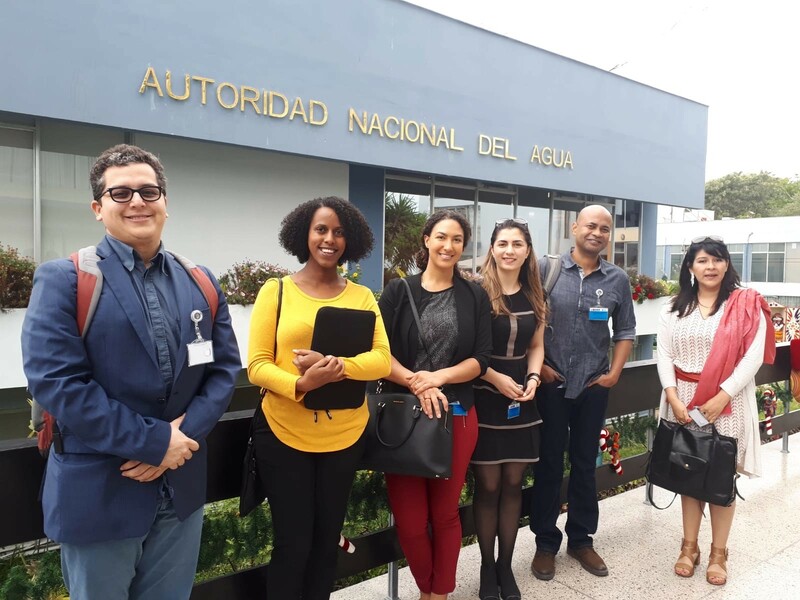 On December 3, MPPGA students in Peru began their fieldwork at the National Water Authority (ANA). Their team was divided into five individual units within ANA where each student spent a significant amount of time, focused on tasks such as creating an agenda for ANA to incorporate gender equality for water users, examining water accessibility, researching water quality issues and water conflicts in indigenous communities, and considering risk management for integrated water resources management in ANA. The team collected data through documentation and a number of interviews with ANA representatives. The team also collected data external to ANA through focus group discussions with non-government organizations such as Care Peru and the Forest Conservation project, as well as other government entities, including the Ombudsman Office in Peru, Superintendencia Nacional de Servicios y Saneamiento, the Ministry of Housing, Construction and Sanitation, the Ministry of Environment, and the Ministry of Mining. Finally, as part of their data collection, the team visited two regions in Lima: the Cajamarquilla & Chosica districts. These districts are at extreme risk of natural disasters such as flooding and earthquakes. The students observed how floods and mudslide impacted the livelihood of people in the district, as tens of thousands of people were displaced in Cajamarquilla in 2016. Peru student team members Adrianna, Misrak, Atieh, Diego, & Tovo. 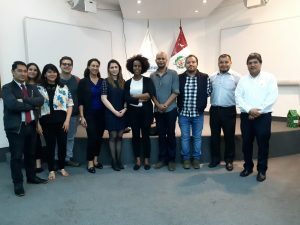 Students met with the Superintendencia Nacional de Servicios y Saneamiento, a government entity responsible for regulating, supervising and monitoring the market development of safe water and sanitation, as well as resolves conflicts arising from these. 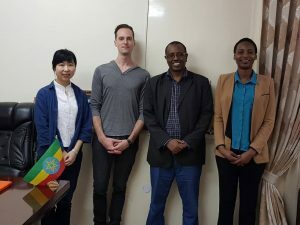 The MPPGA student team in Addis Ababa, Ethiopia spent two weeks engaging with the Ministry of Mines and Petroleum through the Canadian International Resources and Development Institute and the Supporting the Ministry of Mines (SUMM) project. Through in-depth interviews with Ministry staff and external stakeholders, they gained a deeper understanding of the policy landscape of artisanal and small-scale mining in Ethiopia. With a particular focus on gender inclusiveness and community organization within policy, the student team investigated the specific challenges and opportunities of this sector within the Ethiopian context. The MPPGA student team engaging with the Ministry of Mines and Petroleum. MPPGA students in stakeholder meetings in Ethiopia. In Ghana, MPPGA students consulted with their client, Free the Slaves (FTS), a global NGO and a pioneer in the modern anti-slavery movement, to assess and recommend improvements to a tool to evaluate the long-term impacts of FTS’ work in combating child trafficking and slavery, mainly in Ghana’s fishing industry. The team developed an index to accurately capture how communities face issues related to slavery over the long term. It is essential to measure resiliency so that communities not only reduce incidents of slavery to zero but also remain resistant to slavery over time. MPPGA students in a full-day meeting with International Needs Ghana, a NGO that partners with Free the Slaves to monitor progress in communities on the topics of child trafficking and bonded labour. 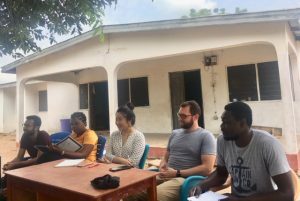 MPPGA students conducting their first focus group in a village near Adidome, Ghana.